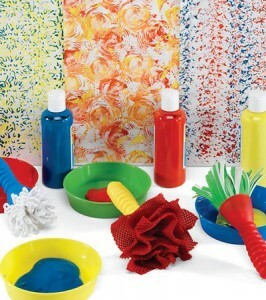 We have used this DIY kids paint recipe for years and the kids always have a great time no matter what their ages. Alicia is 14 and Charlee Ann is 3 years old and they both had a messy fun time painting with it this weekend. 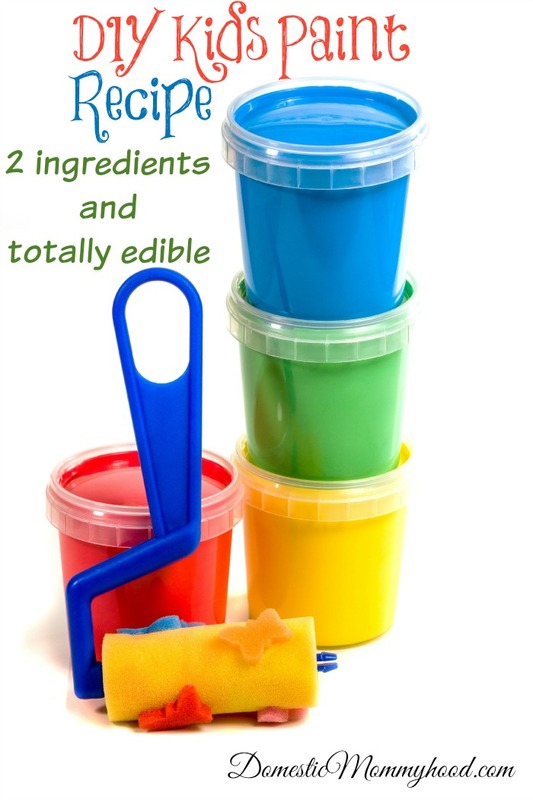 The DIY kids paint recipe is not only easy but totally edible and safe for all ages! Place your mixing bowls onto your work surface. Pour as much sweetened condensed milk into each bowl as you would like. If you would like more colors just use more bowls. Add food coloring until you get the desired consistency. Alicia really had a great time showing her sister how to mix different colors to create a whole new color. It was a great learning experience for Charlee Ann. She really enjoyed stirring the paint colors together during this kids activity and loved pouring it from one bowl to the next. As a matter of fact stirring the paint and mixing the colors took up most of the time. 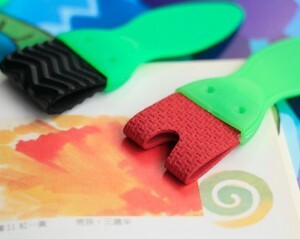 We used plenty of tools for our painting experience with this kids activity but fingers worked the best! Charlee Ann did taste it but she didn’t really try to eat a bunch so that was good. Although it wouldn’t have hurt her if she did take a couple spoon fulls! Create wacky paintings with these fun painting brushes. Set includes 4 chunky, unique brushes. Create fun textures. Toddler safe. A wonderful introduction to art materials and painting. Don’t forget to stop by and check out all the different DIY Paint Recipes we have here on the blog and you might want to head over and check out our Painting with Lego’s Kids Activity! Hello beautiful! Great idea. Pinned. Thank you for taking the time to stop by! I hope to see you at our party tonight, it starts at 7 pm. We love to party with you! I mean really, what toddler doesn’t need edible paint! This is great, my preschooler and I will try this out before the week is out. Thanks!